Patty Smith Hall here and today, I’m going to share some things I discovered in my research for my February, 2014 Love Inspired Historical, Hearts Rekindled. Most times, when I dig into a subject, I discover aspects of history I never knew existed, those little tidbits that make the background behind a particularly moment spark with interest. When part of the plot demanded that my hero and heroine volunteer to care for a group of physically and mentally disabled kids I drove into finding all the information I could on the treatment of these special needs children. What I discovered broke my heart. But I’m getting a head of myself. Let’s start a bit earlier, say the 1850s. The later part of the part of the 18th and the early 19th centuries brought about radical change in the care of mentally and physically challenged people. After centuries of being chained to the walls in hospital basements, of being used by society as a cruel means of entertainment or housed in ‘idiot cages,‘ new modes of treatment were being developed for those who lived with Down’s Syndrome, blindness, epilepsy and mental retardation. The use of chains gave way to a campaign for sunny rooms and proper exercise and diet. 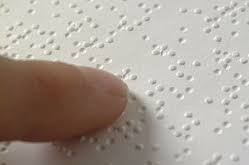 Louis Braille developed a system of embossed letters to help the blind communicate. Schools for the handicapped were formed. Things were looking up for these people and their families. Then in 1871, this progression came to a standstill with the publication of Charles Darwin’s The Descent of Man. In it, Darwin uses those with intellectual disabilities as intermediate stepping stones on the evolutionary path, a waste by-product of natural selection, the lowest and most unfit of the species. His objective in all this was to raise animals value in the publics’s eye while lowering their regard for their own species so he could prove his evolutionary theories. What fear the mainstream public held about people with mental and physical disabilities exploded. In the early 1900s, the United States prohibited the immigration of individuals who displayed a mental or physical handicap. Children with epilepsy, cerebral palsy, Down’s syndrome and muscular dystrophy were automatically institutionalized if the parents could afford it, and if not, these children were abandoned on the streets to fend for themselves. The Ugly laws were enforced, allowing the police to arrest and jail anyone with apparent disabilities for no other reason than being disfigured or demonstrating a problem. In the 1930s, the United States, along with Britain and Germany, sterilize thousands with mental disorders or epilepsy--In fact, seventeen states make laws denying epileptics the right to marry. And between 1939 to 1941, 70,000 mentally and physically handicapped adults and children are murdered in Hitler’s gas chambers. Chilling to think the United States was keeping up with the Nazis in their treatment of this fragile population until the war started in Europe, isn’t it? The improvement of services for these people and their families was one of the many social changes World War II sparked in the United States in the years after the fighting stopped. Until next time, God's blessings upon you! Patty Smith Hall has been making up stories to keep herself occupied since her parents forced her on boring Sunday drives into the Georgia countryside when she was too young to stay home by herself. Now she's happy to share her wild imagination and love of history with others, including her husband of 29 years, Danny, two smart and gorgeous daughters, and a yorkie that she spoils like a grand baby. She resides in North Georgia. 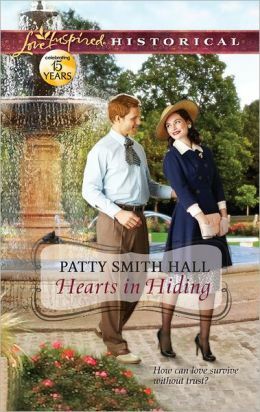 Hearts in Hiding is her July 2012 release. Heartbreaking, Patty. Thank you for sharing this forgotten history. Also wanted to add that I have studied Social Darwinism and the Eugenics movement and you are absolutely right--Darwin fostered a "superior race" or a "good gene/bad gene" mentality which gave rise to Planned Parenthood led by Margaret Sanger, a known Eugenicist. The earliest writings of Sanger reveal chillingly targeted population control policies toward poor black communities. Hitler's espoused Aryan race is a direct result of Darwin's teachings, and Germany's "final solution" policy was designed to purge the bloodlines from the human "vermin" they considered Jews, gypsies, disabled, Catholics, and others. One can tell the measure of how far a culture has slid from Biblical truths by how they treat the least of these--the disabled. Sadly, there is a push in New York state to defund the state-run homes and close psych treatment centers. Hard to predict what the future holds for this vulnerable population. It's not only sad, but frightning, to hear about "a push in New York state to defund the state-run homes and close psych treatment centers." Although I believe our country has a broken mental health system, the last thing we need to do is turn away those who can get what little help is available and affordable. I'd suggest that everyone who reads this post today contact the leaders in your state and tell them not to turn their backs on this country's mental health crisis, and then, if possibe join NAMI. http://www.nami.org/ Make your voice heard. Great post, Patty. It's so sad to think of our disabled turned into the street during any age of history and sadder still that it continues today. Yes, there is a huge problem in our country concerning mental health issues, problems that are robbing individuals of their lives. If we'd take care of that issue, our country would be a better place. As the mother of a beautiful, happy, sweet and loving girl with moderate mental disabilities, this makes me sick. We need to value and cherish each and every human life as a gift from God. That that is truly what my daughter is. Liz, I agree wholeheartedly! I have a beautiful younger sister who has moderate cerebral palsy and she is the sweetest, most giving person I've ever known. And she's done far more than the doctors or teachers ever expected! Thank you for sharing this valuable information, Patty. Very Interesting! And it confirmed the research I did for my Civil War novel. If you need any references, just let me know and I can send you some links! I'm always ready to help! Wow, it is just so sad our human race can treat fellow humans that way. All because of fear! I hate the thought of what Darwin did to society's way of thinking. I pray for better treatment and healing in hearts. What a convicting and valuable post! What most people don't realize is that Darwin had a son who had Down's Syndrome--my heart broke for that child when I read that. Thank you for the reminder of how far we have come and how much farther we need to go. It is so chilling to read about this. Thanks for coming by, Eliza--I'm always surprised at how cruel people can be to each other. Excellent post. Few people realize that racism and attitudes toward the disabled had a direct link (pardon the pun) to Darwinism. As a mother of adopted twins with disabilities, I'm so happy that things are much better (but still have a ways to go). One of my passions is helping people with special needs. I really enjoyed this post. Yes, we still have a ways to go--but I'm thankful for the distance we've come. Years ago, the doctors and our school system told my parents that my younger sister (who has cerebral palsy) would never move pass 6th grade. Mom refused to take their word on it, and not only did my sister graduate from high school, she has now worked for the school system for over 15 years now! So proud of her! It's hard to believe that kids were treated that way not so long ago. Kids with challenges deserve the opportunity that other kids have. Hard to believe that even with so many people believing in a loving, caring, God - this treatment of the ill was tolerated. An interesting blog - thanks!